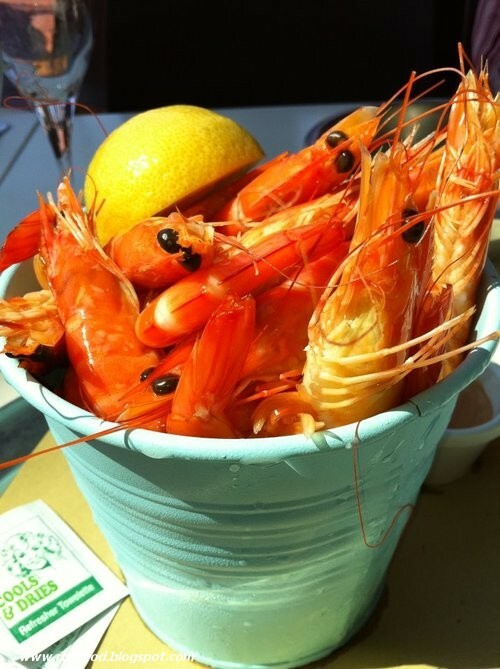 You just can't beat a sunny day in Sydney, people watching and looking at the the harbour and hoeing into a bucket of king prawns with a glass of cold crisp Savignon Blanc. It's even better when you share it with a few family and friends. I recently took advantage of one of those discount voucher websites offering a great deal. I've had this deal a number of times before and it is well worth it. 2 buckets of prawns and a bottle of wine for 2 people for $29 at Blue Fish at Darling Harbour. you like to browse these discount voucher websites, this is definitely worth the deal. 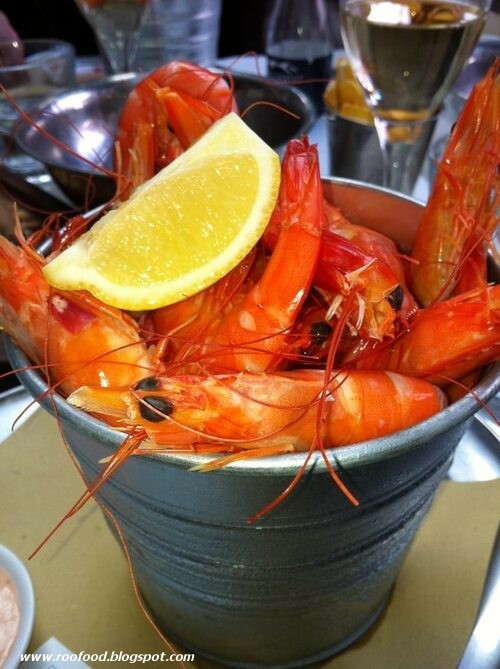 The bucket of prawns on the menu go for $25, so the deal is certainly well worth it. This time we were four people dining and we chose to sit just inside out of the sun, although the restaurant is wide open with floor to ceiling glass panels that slide open for optimal airflow. The view is lovely overlooking Darling Harbour and the promenade offering a good place to people watch. We opted to order the Damper and two bowl of chips to go along with our prawns and you have a choice between white or red wine. 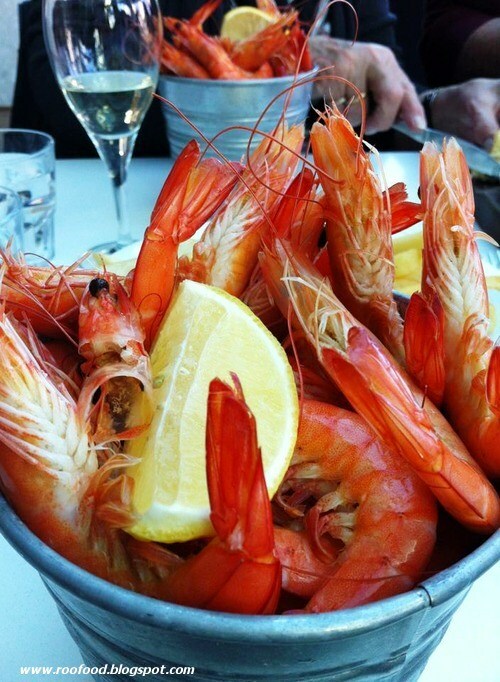 I'm usually a red wine drinker, however eating prawns and eating during the day I think white is a better choice. "But more importantly... I'm naked, okay!" When the buckets arrived they were freshly cooked and no additional seasoning or flavour enhancers, just naked prawns! I will admit that today's offering were not as briny as past buckets but the flavours were still good.. and the addition of big dollops of tartare sauce helped. 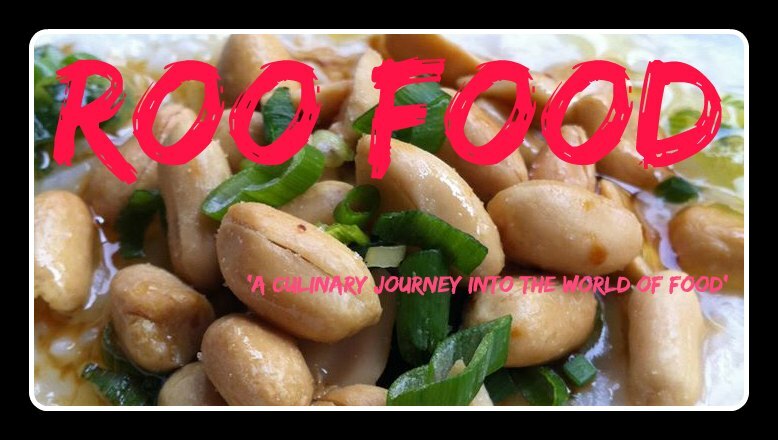 Only one downside to this experience is that I find the service at this restaurant slow and inconsistent. We always have to ask for plates or serviettes or even a finger bowl for our prawny scented fingers. Don't get me wrong, the staff are mostly friendly just a bit on the slow and lazy side. It appears that it is a very transient turn over of staff, which could possibly be a reason to why the service is that way.